In November 2002, the Governing Council of the Canadian Association of University Teachers (CAUT) established a new foundation to carry out education and research on the role of post-secondary teaching and research in contemporary society. The Harry Crowe Foundation, named after the person whose academic freedom case gave rise to the modern day CAUT, sponsors research and conducts conferences on issues in post-secondary education, such as freedom of academic expression, social factors affecting research priorities, institutional autonomy and governance, and scholarly communication in a digital age. 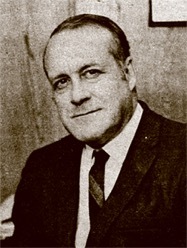 Harry S. Crowe was a history professor, university administrator, and labour researcher. In 1958, he was fired from his tenured teaching position at United College for the contents of a letter he had sent to a colleague criticizing the College administration and raising concern about a Conservative victory in the next federal election. Professor Crowe's dismissal prompted CAUT to launch its first investigation into the security of tenure and academic freedom in Canada. The Report, prepared by Bora Laskin and Verna Fowke, established the groundwork for the adoption of CAUT's principles of academic freedom and tenure and its ongoing work defending scholarly rights for academic staff in Canada. After teaching at United College, Crowe worked as a labour researcher for the Canadian Brotherhood of Railway, Transport, and General Workers. He returned to the academy for a teaching post at Atkinson College, York University where he was a professor (1966-1969) and then college dean (1969-1974) and (1979-1981). Crowe also wrote as a columnist for both the Toronto Telegram and Chatelaine Magazine. In 1959, The CAUT Bulletin published the "Report of the Investigation by the Committee of the Canadian Association of University Teachers into the Dismissal of Professor H.S. Crowe by United College, Winnipeg, Manitoba." This event established the precedent for CAUT's investigations into violations of academic freedom around the country. The editorial preface to the report noted the "twofold" purpose behind the enquiry: "The first was to lend the weight of the Association to Professor Crowe in his difficult position if it were found--as it was found--that he had been unjustly dismissed. The second, and no less important, purpose was, by defining the issues and stating certain principles of right academic behaviour, to strengthen the concept of academic freedom throughout Canada. Injustice to one professor is injustice to all, and a proper defence in one instance increases the security of all. It is to be hoped that, whatever the outcome of this unhappy incident, the concepts of academic freedom and tenure, and of the teacher's essential role in the community, will be more fully understood within and without the profession." The Harry Crowe Foundation is a registered charity that undertakes research and education about the history and role of post-secondary education, research, and teaching. Its research and educational activities include a primary focus on academic expression and the conditions that promote effective scholarship and knowledge creation. If you are unable to open the document, you need Acrobat Reader.